We usually have collective cooking on Friday, but we postponed to Sunday, due to great festivals happening in Montreal mainly during the summer. If anyone out there thinking of visiting Montreal for the summer. There is the Jazz Festival coming up on June 30 to July 12, celebrating its 30th anniversary. This will be BIG! 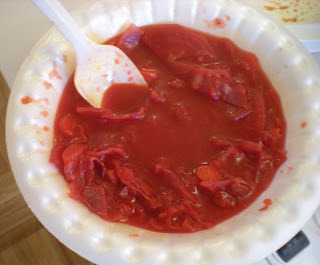 This week, my Taiwanese friend made a Russian soup known as Borscht. He used to live with a family of Russian when he arrived in Montreal and Borscht was mainly served. 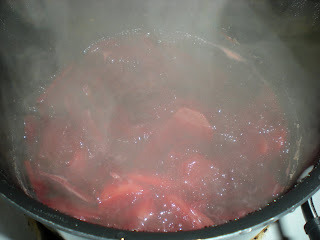 Borscht is a hearty vegetable soup in which beets is the main ingredient. This soup can be served hot or cold so it is good any time of the year. 1. 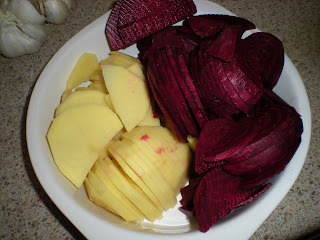 Thinly slice potatoes and beets. 2. 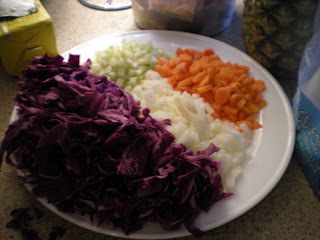 Shred cabbage and dice carrot, onion and celery. 3. 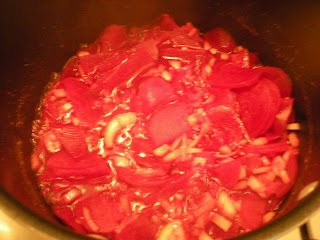 Place potatoes, beets in a large soup pot and vegetable stock. Cover and cook for about 15-20 mins over medium heat. 4. Meanwhile, in a skillet, saute onion until transparent over medium-high heat. 5. Transfer onions, celery, carrot, cabbage to soup pot, cook until all the ingredients are tender, about 10-15 mins. 6. Add the remaining ingredients and reduce heat to a simmer. Cover and simmer for 15 mins. If too thin, let it simmer uncovered. Add salt and pepper to taste. Serve with a dollop of sour cream.